This latest installment into Cathy Reichs’ “Bones” series features Dr. Temperance Brennan facing accusations of impropriety in a recent case. Brennan and Quebec Detective Andrew Ryan travel to The Windy City during a snow storm to address these unfounded charges, and uncover hints of an enemy determined to hurt Brennan’s reputation, but the why and who remain unknown for the majority of the novel. Those familiar with the author’s work will recognize Dr. “Tempe” Brennan as the same feisty, brilliant, brave and compassionate forensic anthropologist from the hit TV show Bones. Though the locales and supporting cast of characters changed for the show, Tempe is the same passionate soul who will let nothing stop her from finding justice for those who land on her autopsy table. Dr. Brennan and Det. Ryan are soon back in Quebec, working on multiple cases both together and separately. Tempe clashes with a new addition to the staff of the Laboratoire de Sciences Judiciares et de Medecine Legale, a Dr. Miranda Briel, a pathologist with delusions of ability in forensic anthropology. Briel seems to deliberately attempt to undermine her colleagues to advance her own career. How far Briel is willing to go to further her ambitions, Tempe will unfortunately discover, in a nearly fatal encounter. While I’ve long been a fan of Reichs’ work, 206 Bones has to contain far more of the dry procedural stuff commonly found in her novels- cataloging bones of a found skeleton, detailing street maps of Chicago, Quebec, etc., as the characters travel, not to mention the different “tells” that can help identify bones and teeth of a particular specimen. What keeps the entire story from being mundane, though, is the fact that it is actually being told in flashback, with “flashes” forward interspersed between other chapters detailing the life-or-death climax Tempe has found herself in; how she arrived in this predicament is the true focus of the plot, with “hold your breath” suspense as to if she will somehow miraculously escape and survive. 206 Bones is the twelfth book in the author’s series, and while it is not the best I’ve read, it still has plenty of appeal from a series of murders that may or may not be related, and drama from both interoffice interactions with Tempe’s colleagues and her former lover in Ryan. I give this book 3.5 stars and recommend Reich’s work to those readers interested in police procedurals, detective stories, and cozy mysteries. Over the past weekend the hubby and I found time to sit down and relax with a movie, not realizing at first how appropriate this supernatural fantasy would be for the coming Valentine’s Day week. 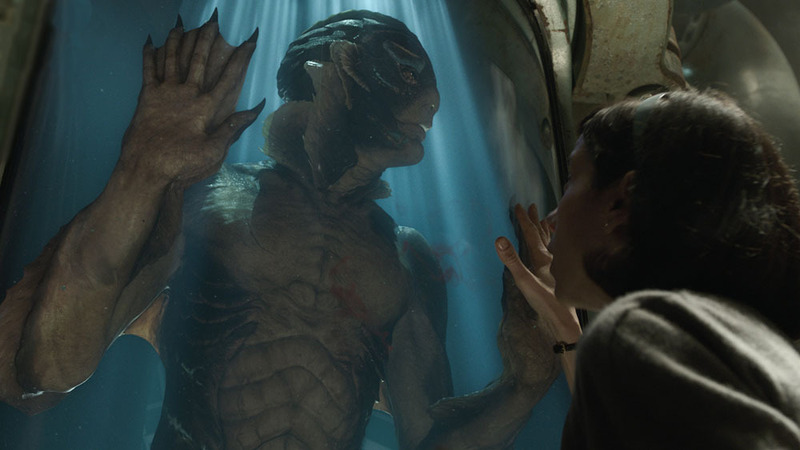 What followed was an amazing, mesmerizing tale featuring on two main characters, played by Sally Hawkins and Doug Jones, both of whom are mute, isolated in their own way, and yet are almost instantly drawn to each other in a way that defies logic or conventional interpretations of love. Sally Hawkins plays Elisa Esposito, a cleaner at OCCAM Aerospace Research Center in 1962 Baltimore, who is present when Doug Jones’ character is brought in as a specimen referred to as “The Asset.” The government and military forces running the facility are desperate to “get ahead” of the Soviets in the space race, and believe they can do so by studying, and eventually dissecting, an amphibious man captured from South America. Coincidentally or not, “The Asset” has a very similar look, and is played by the same actor, who played Abe Sapien in another del Toro film, Hellboy. The director of the facility, Strickland, played by Michael Shannon, has tortured The Asset, who is response has bitten off two of Strickland’s fingers; even knowing this Elisa doesn’t fear him, instead she spends her lunch breaks visiting him. The amphibious man and the cleaning lady bond over hard-boiled eggs, music, and sign language, and when Elisa overhears plans to terminate her friend, immediately plans to free him. Elisa finds allies in her cleaning partner, Zelda (Octavia Spencer), her neighbor Giles (Richard Genkins), and strangely a Soviet spy (Michael Stuhlbarg), whose love of science outweighs his loyalty to his native country. Freed from the facility in a daring escape, The Asset goes home with Elisa, where she tends his injuries, and is drawn ever closer to her, as he shares with her and Giles abilities that defy explanation, and create a deep bond between them. They know their time together is to be short though, because when the rains overflow the canal in Boston harbor, The Asset will finally be able to flee to the sea, and safety, from Strickland who is still hunting him. The action sequences are well-done, the visuals are spectacular, and the surprisingly sweet and romantic turns of the plot are very well done. 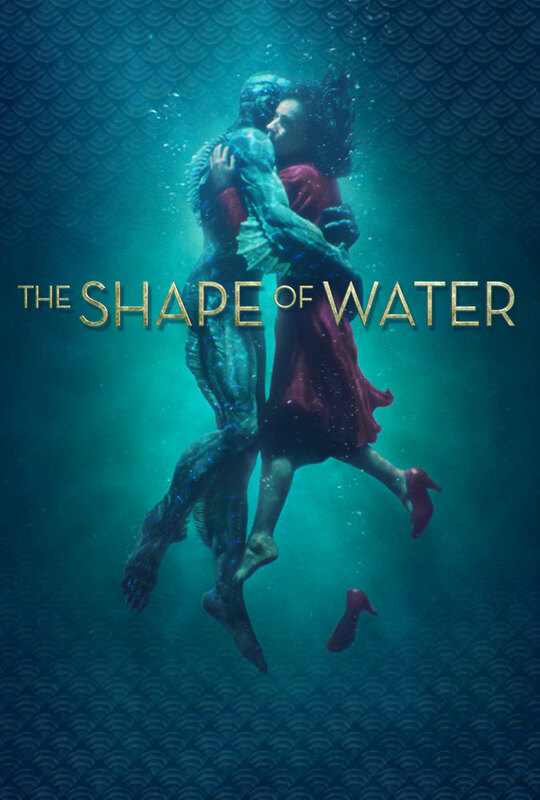 Of course, I am not alone in my opinions: The Shape of Water won Oscars in 2018 for both Best Picture and Best Director. There was also a book, written by del Toro and Daniel Kraus, of which publication followed the movie (in 2018) but from all sources is not merely a movie novelization, rather a much more in-depth exploration of the story as conceived by Kraus. I think this movie, which has been called an adult fairy tale, is a perfect romantic story for those who don’t mind a little fantasy with their romance. Check it out this week on Redbox or HBO, and have a Happy Valentine’s Day!